How the Fluent Design System was implemented across Microsoft Azure. All members of an Agile team, regardless of design skills, can contribute to the design of a product or feature during the development process. Some lessons learned from a first corporate UX design job. Designing for engagement without anxiety. Dark patterns will get you some superficial and short term gains but nothing good will come from it in the long-run. A look at both sides of the table in the ever-changing landscaple. 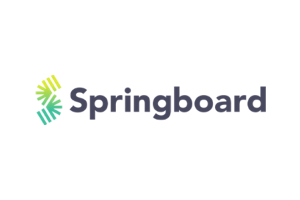 Build a portfolio that stands out to hiring managers with Springboard’s UX Career Track. With the help of an expert mentor, you’ll master design thinking, develop cross-functional communication skills, and create real-world projects to get hired for an entry-level UX job. Learn more today! A free course to learn how to design and code using Framer X. Design on top of your live site. Make better group decisions with a visual voting tool. Marvel reimagined the Sketch workflow to import, sync, and handoff code. An updated list of UX books, including new and upcoming UX books. Cheechee is a Product Designer at Dropbox. CrowdSmart is seeking a senior experience lead that is ready to take on the challenge of transforming startup investing.